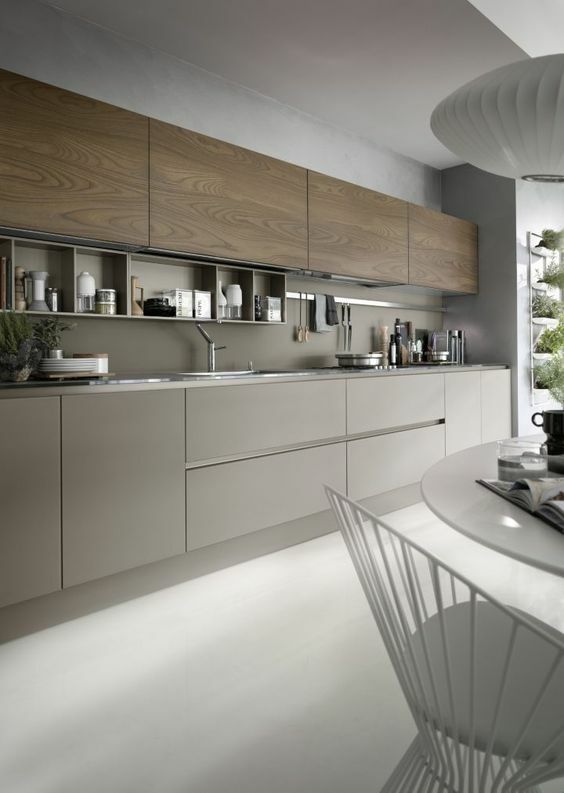 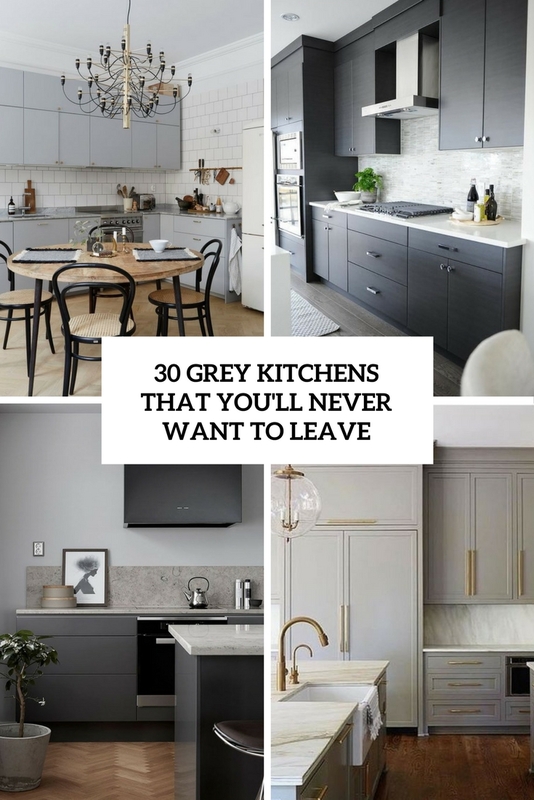 Light grey shades are extremely popular for kitchen decor: they are soft, relaxing and easily combinable with any touches you prefer. 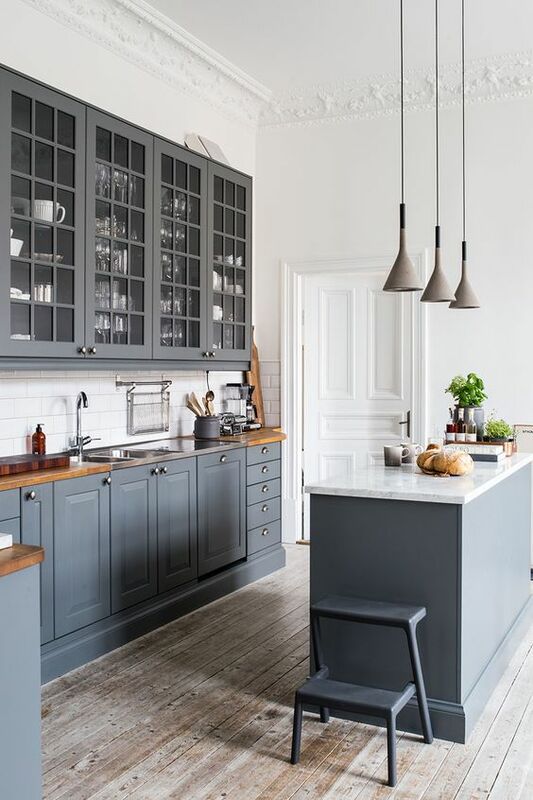 For a modern and even minimalist look, go for a sleek look with no handles, for a vintage look choose proper cabinets and add glass armoires. 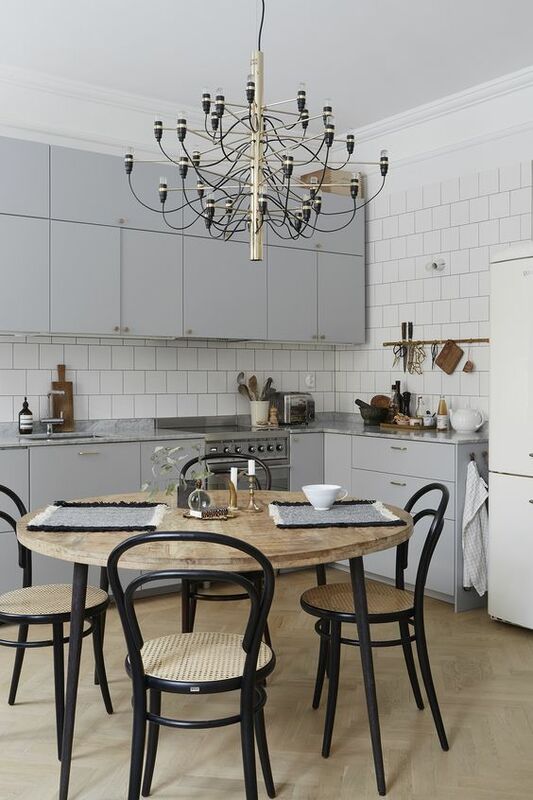 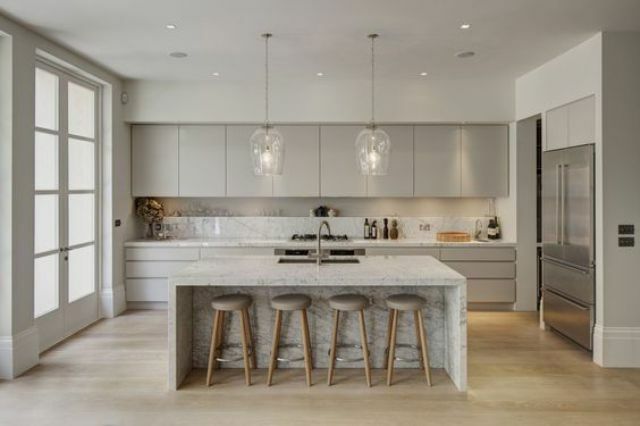 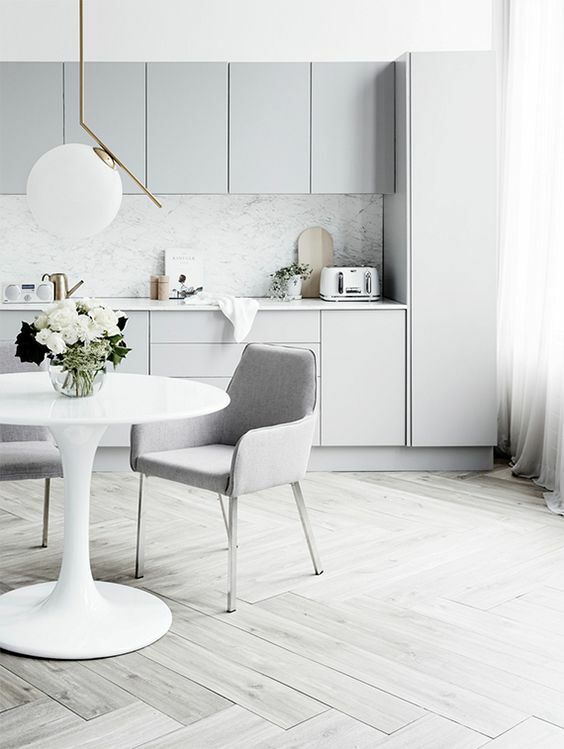 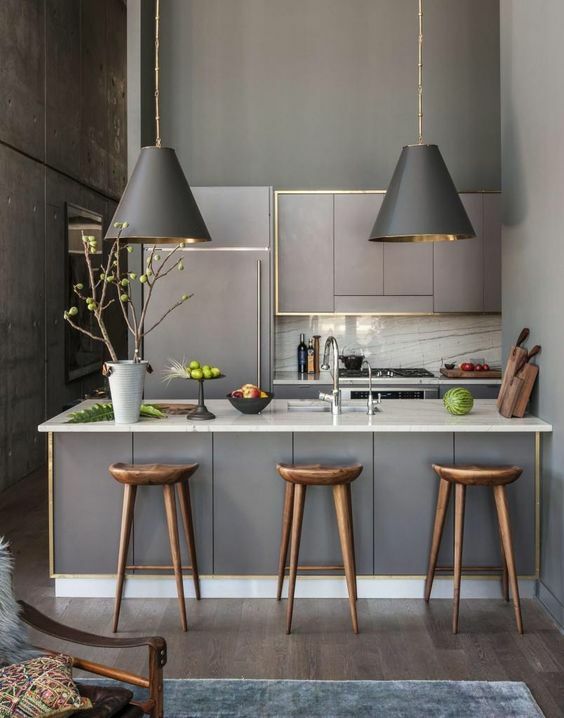 You can refresh the look with white counters and walls, and to make it more eye-catchy you can go for metallic touches, especially lamps and handles. 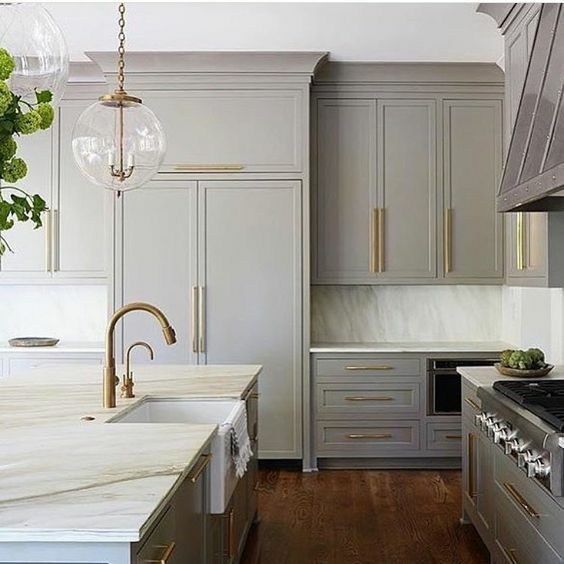 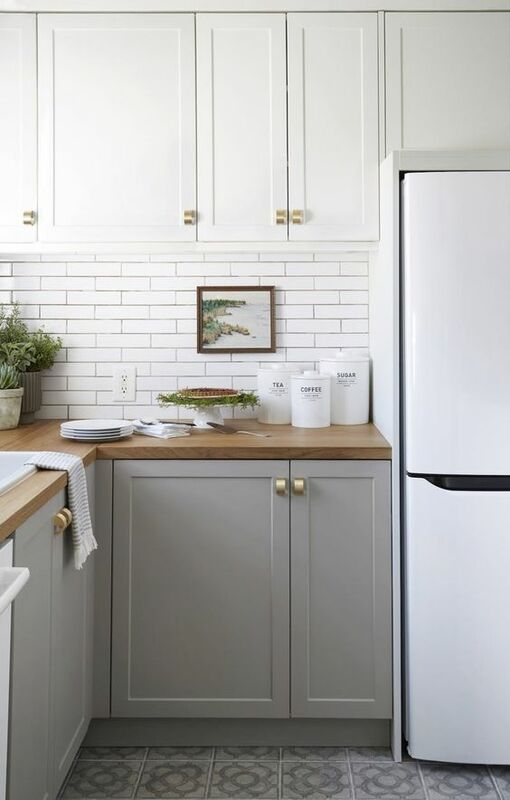 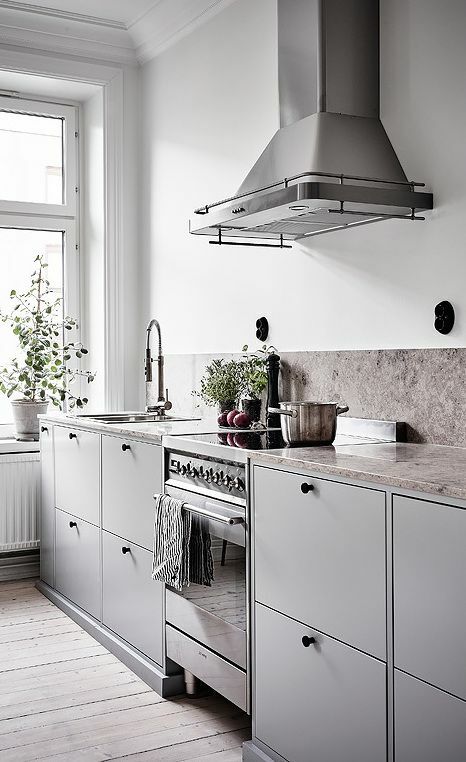 To make your kitchen non-boring boldly add textures or colorful touches to the space, it may be a marble or stone backsplash, a wooden dining set, concrete counters or walls and of course cool tile backsplashes. 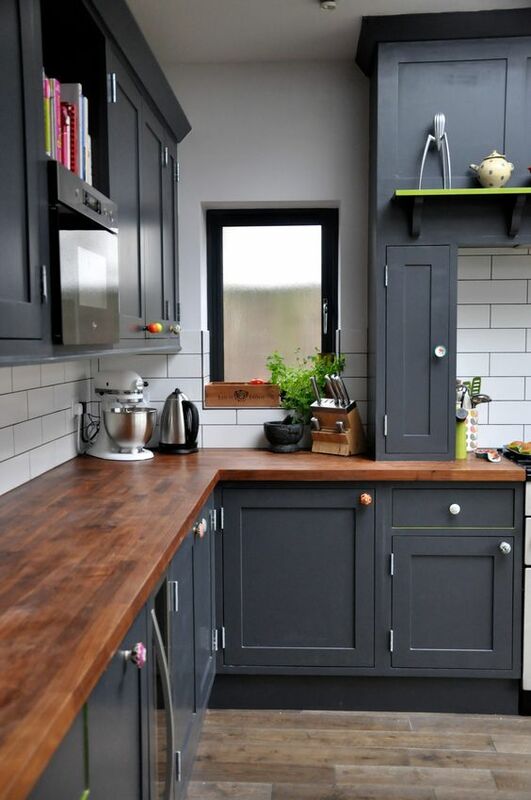 Dark grey shades are also very compatible, and you can rock them with almost anything. 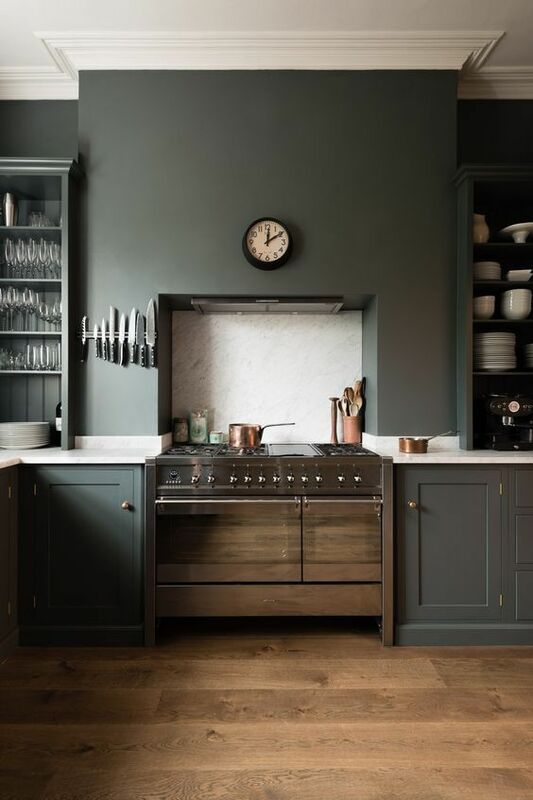 Dark grey shades are the best one for creating a moody space, which is so popular today, and you can add navy, black and dark green with copper fixtures to get a gorgeous moody space. 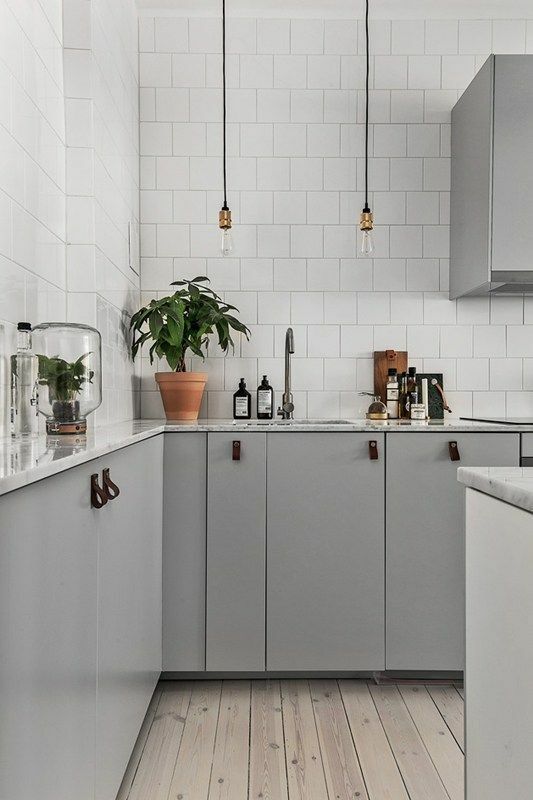 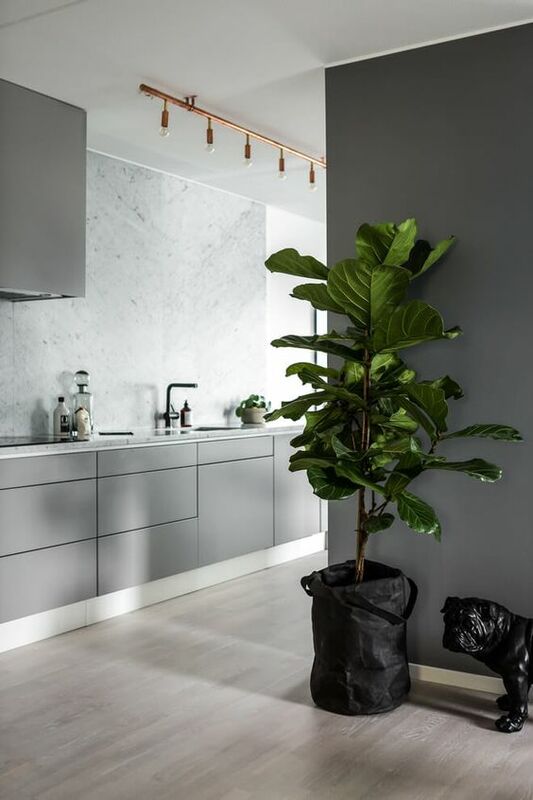 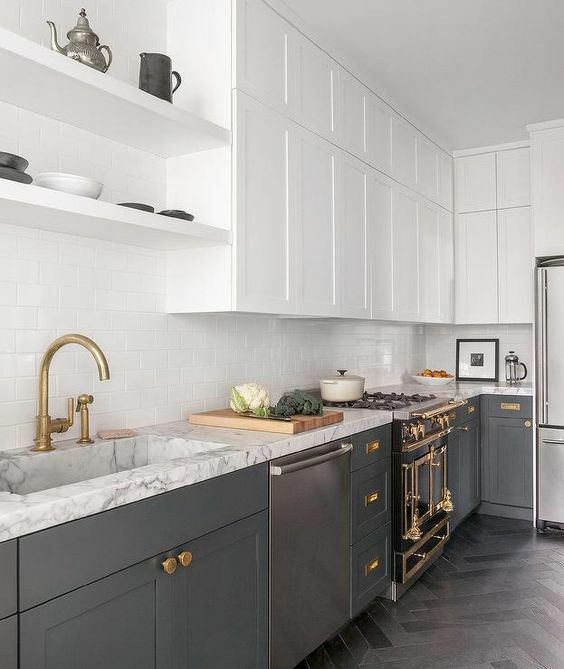 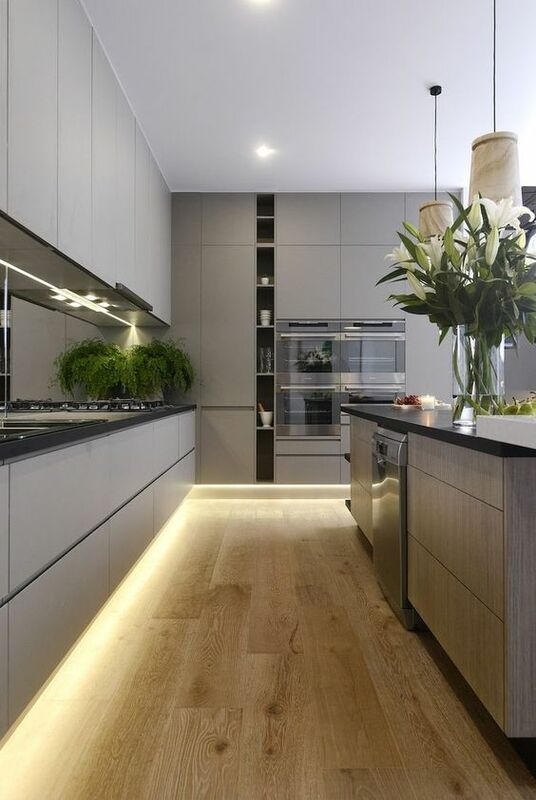 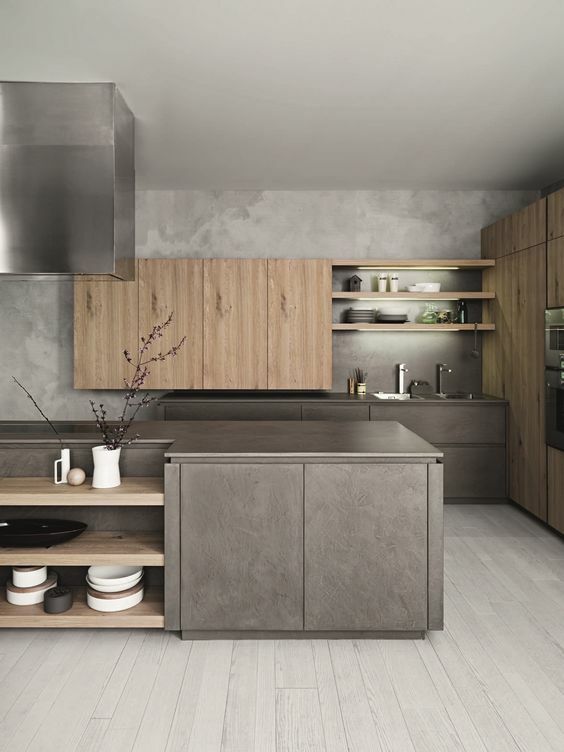 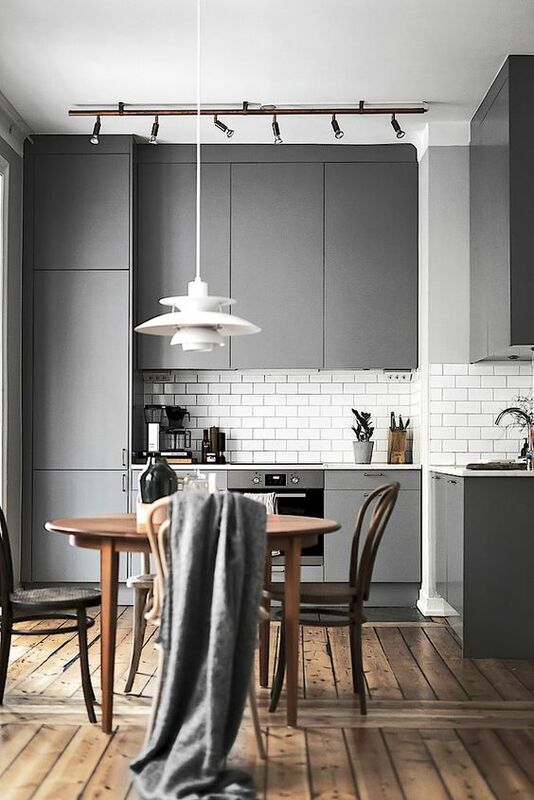 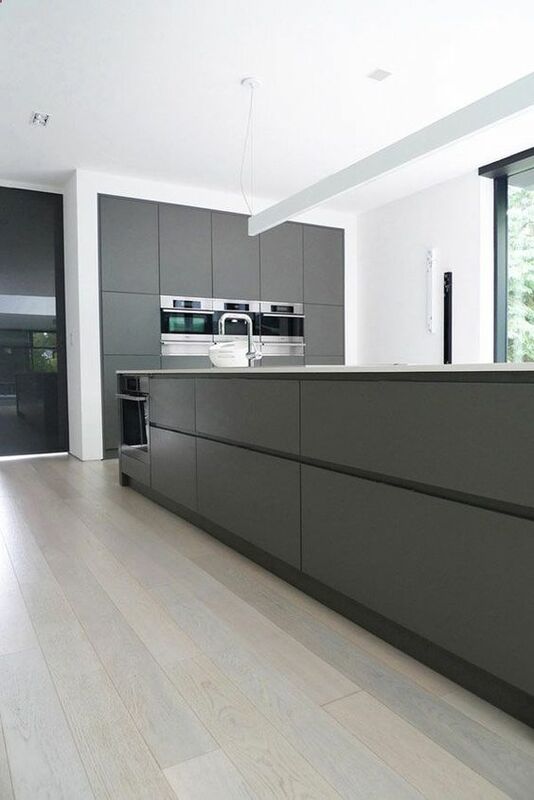 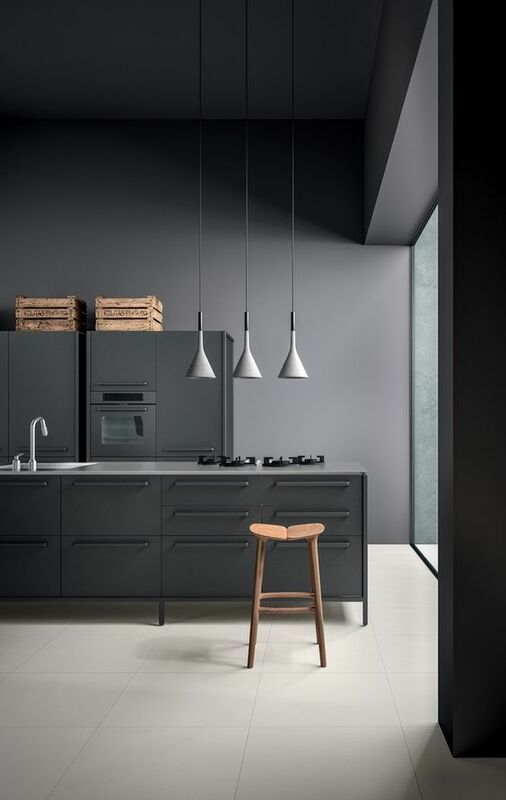 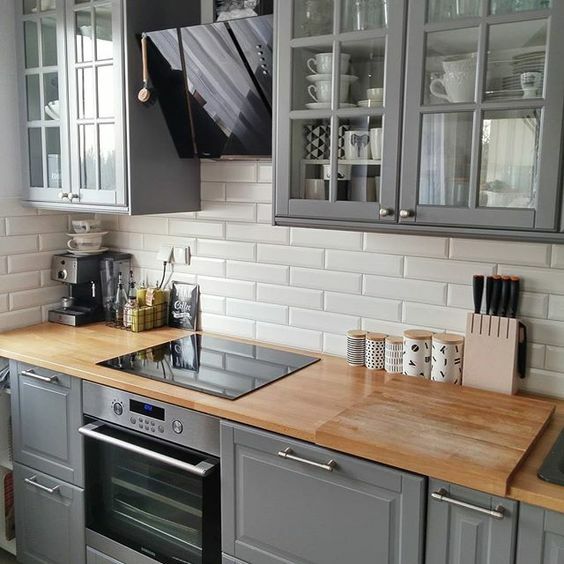 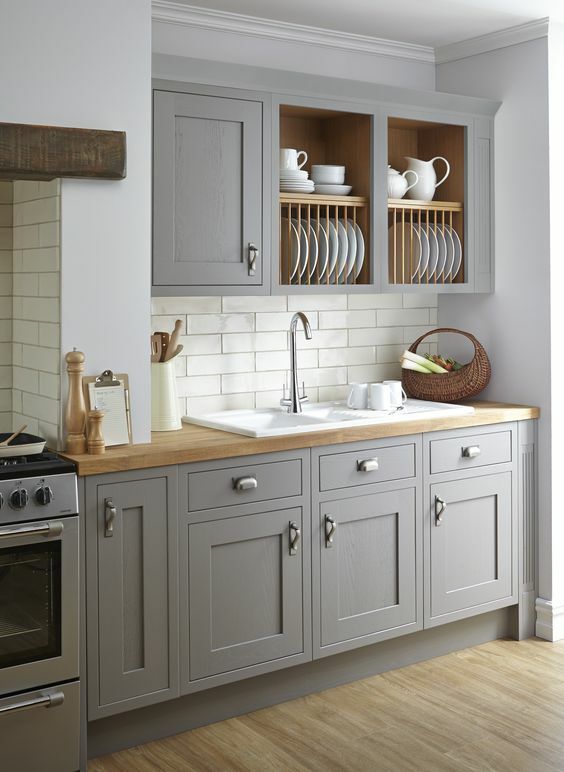 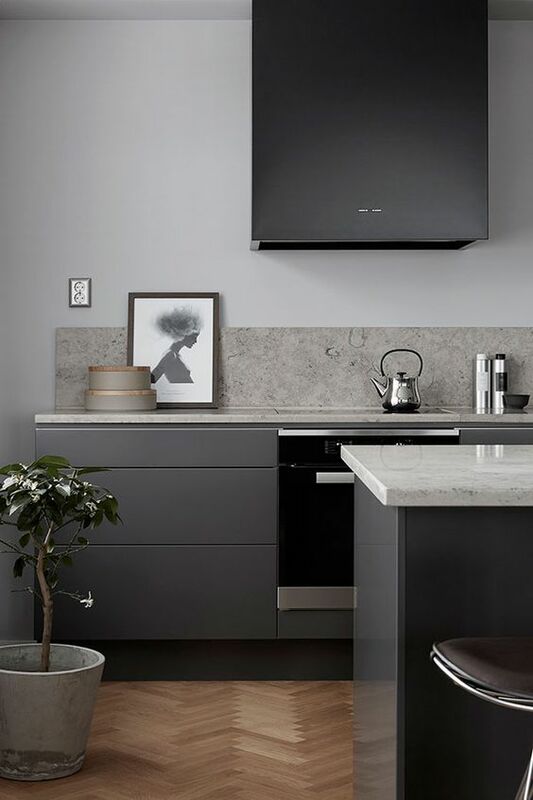 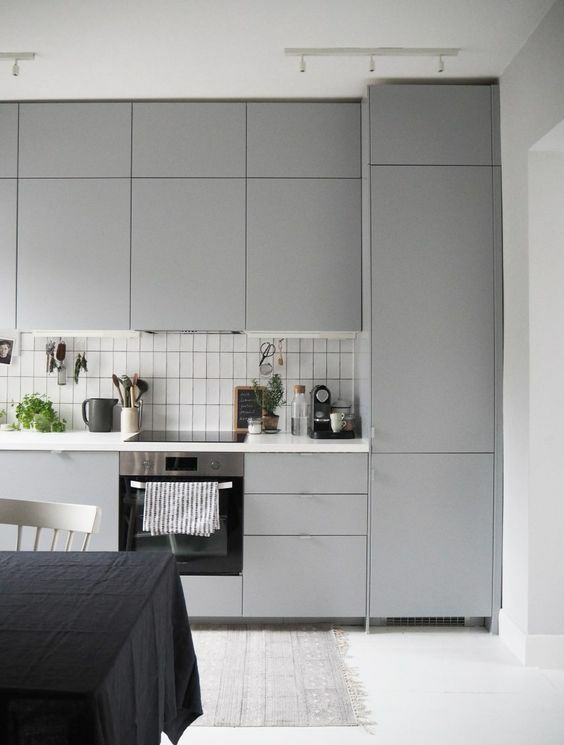 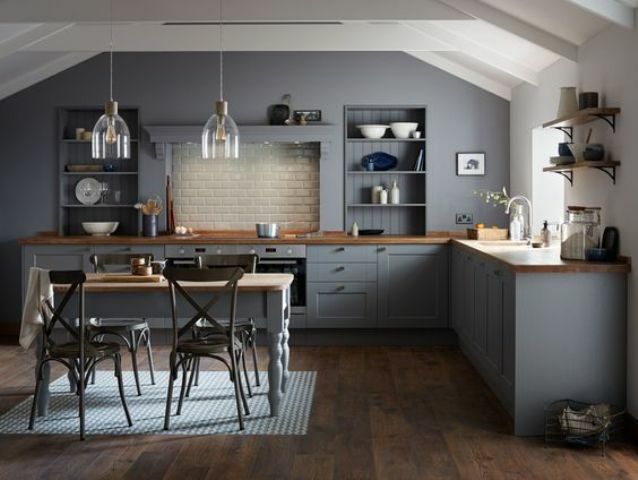 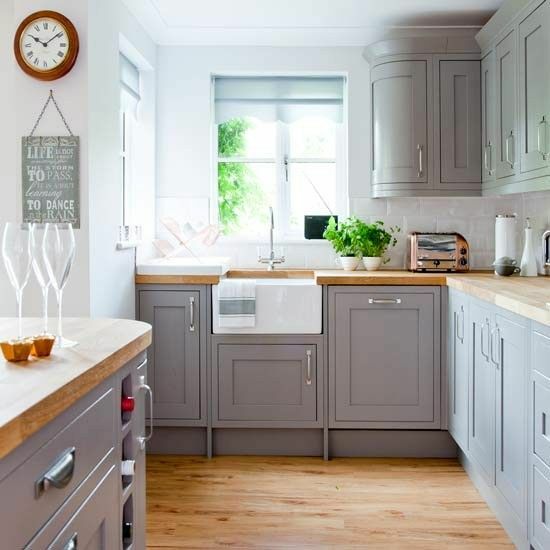 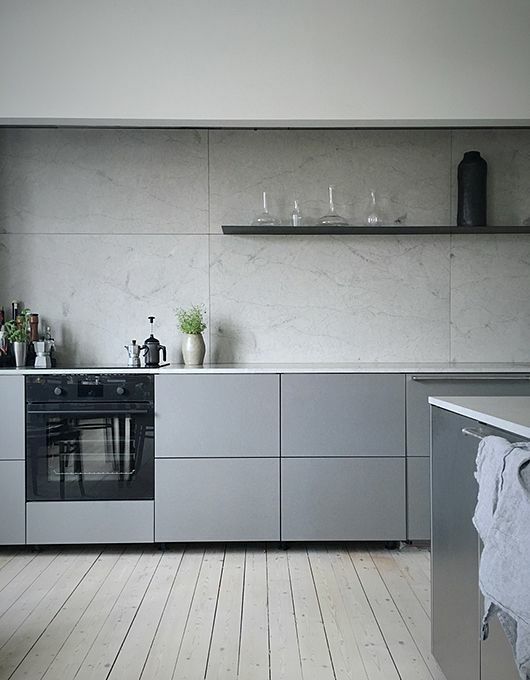 Dark grey shades can be also used for vintage kitchens with white counters, backsplashes and walls to refresh this darkness – they’ll look stunning! 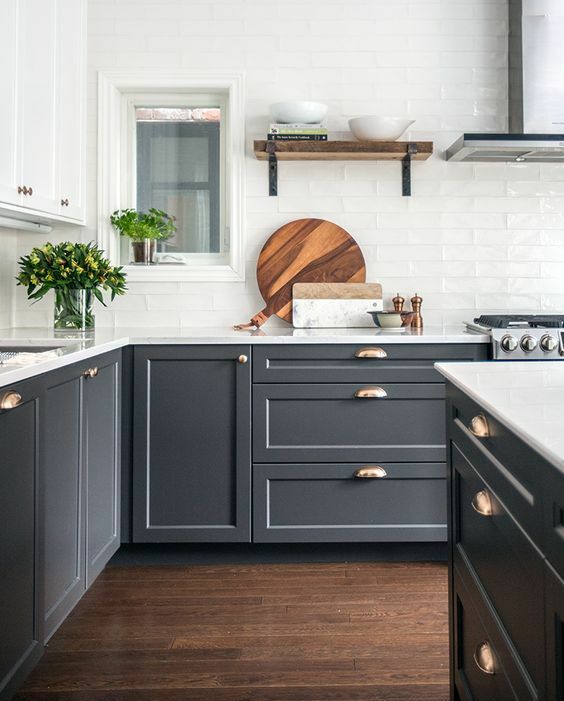 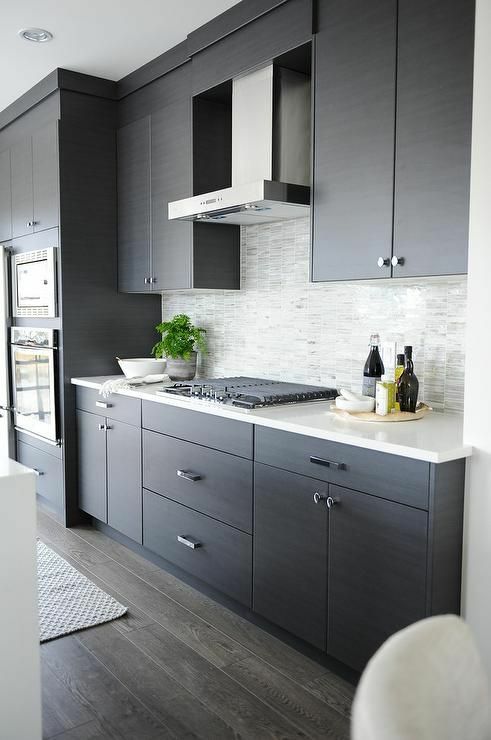 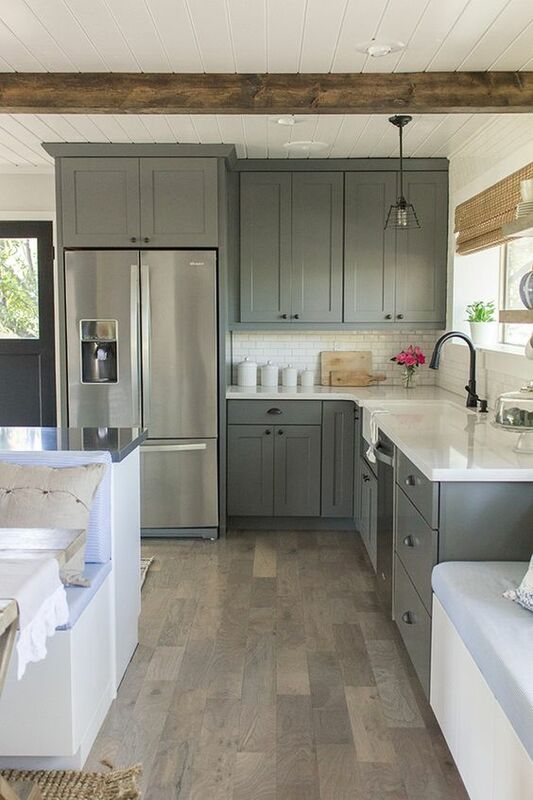 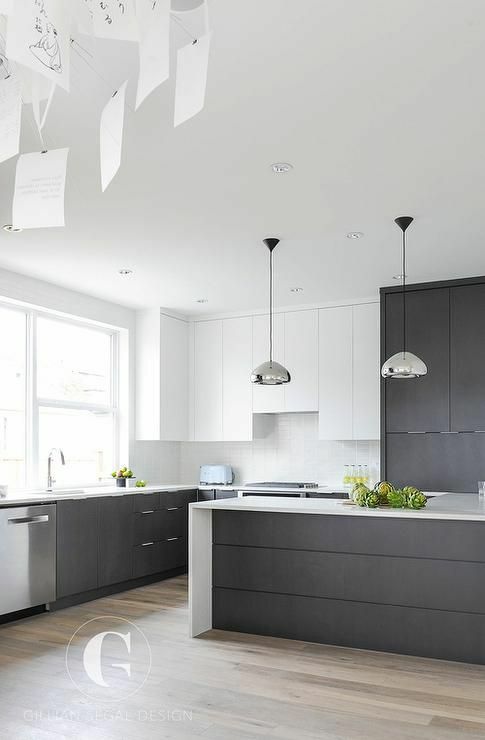 Add metallic handles and fixtures, some eye-catchy tiles for the backsplash and interesting pendant lamps, and voila – an amazing dark grey kitchen is done!